During Nicole's first day in Dubai she had a private fitting in her hotel room with Lamya Abedin of 'Queen Of Spades' Abayas. Queen Of Spades is a national attire of the UAE. diversity of cultures and folklore and create something unique and novel in the fashion industry. So she blended the cultures she had experienced into her designs, to give her national dress a whole new fashion statement. Her designs have seen reflections of unique forms of traditional wear from around the world. Designing started as a passion more than a business. It all started in 2008, while searching for a special abaya for herself in Dubai, she found she wasn't able to find that "One-of-a-Kind" piece and that led to create her own line of abayas – all individual pieces of creativity and exclusivity. When one wears Queen Of Spades, they know that they are showcasing a piece of exclusivity and exquisite design. 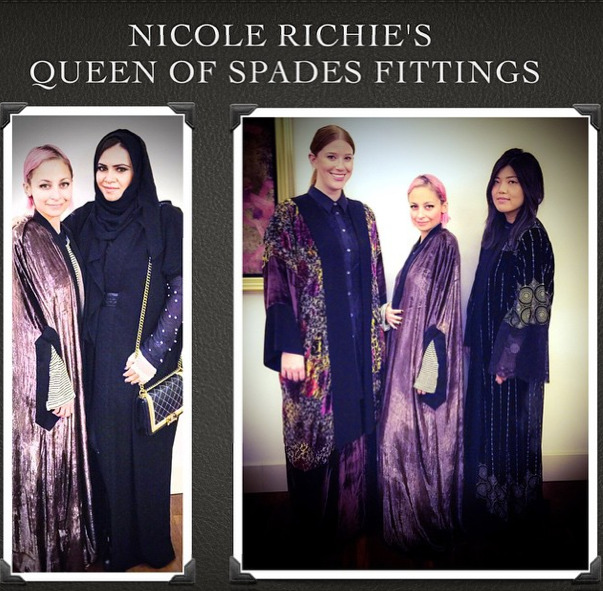 "Spent a lovely day with @nicolerichie at her hotel doing fittings for Queen of Spades! It was lovely to see how much she admired our Abayas. Sweetest person to meet and love! I was honored to meet her loveliest publicists as well. How cute do they all look and what a lovely salut to Dubai Nicole's @houseofharlow1960 at The Beach. Welcome to Dubai @dsfsocial #mydsfcheck out @nrichienews." 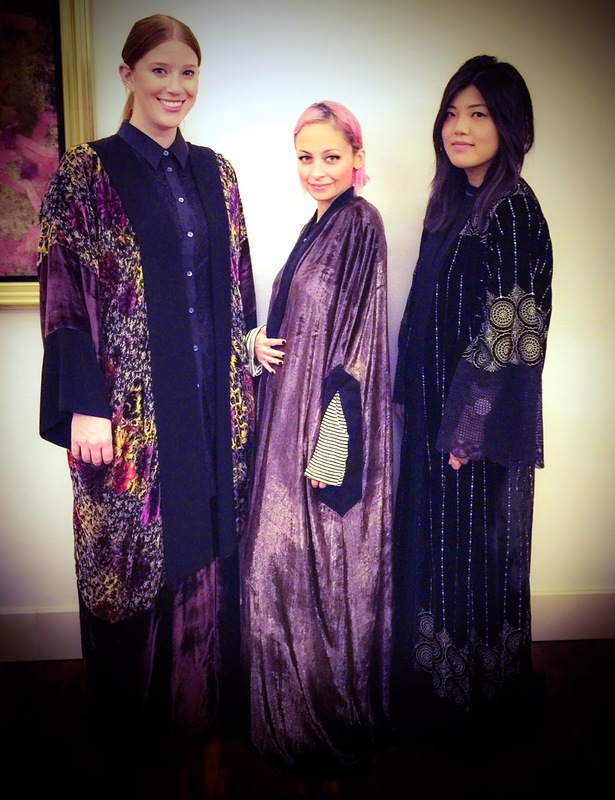 Thank You to Lamya for sharing her Nicole Richie fitting pictures with us.